There won't be any flora and fauna left anywhere on the planet, let alone Mauna Kea, if we keep on missing the earth-bound objects, like the one that swept across siberia few weeks ago. 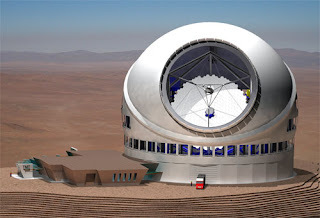 These telescope are not only for space exploration but a must for the very survival of life on this planet. Hmm...sure. But this telescope is not dedicated to finding asteroids and comets. In fact, there are other telescopes specifically designed for those purposes - and they are not, and don't have to be, at a place like Mauna Kea. So yes, there we can argue for the importance of the TMT, but the survival of the Earth isn't one of them. Well, Mauna Kea hosts couple of species that are on the verge of extinction. Plus, there was a contract in the late 70s that limited the number of telescopes on the mountain - because of the both the sensitive ecology as well as its importance to native Hawaiians. From that perspective, Atacama would be better (it is also much bigger). However, it is not so straight forward, as the local economy also benefits a lot from the telescopes. These are some of the reasons why this is a complex issue and astronomers and others affected by the project have to think about the implications. The threat of asteroids is indeed real - but that is independent of the issues on Mauna Kea (one doesn't need a 30m telescope to do that...). And the US congress did tasked NASA with the mandate to find all Near Earth Asteroids (NEO's) greater than a mile in size. That task is mostly completed, and now more money has been directed for 250m and above. All of this still leaves open the threat of comets - as some can still be coming from behind the Sun. But, yes, indeed, there should be efforts to identify as much as possible. If these few species are on the ESL then you have to ask is it because of the minimal development there or are they simply phasing out by natural course, as is the case with all species inevitably? Also, do the few species you reference play a vital role in a complex and larger ecosystem atop Mauna Kea or are they the last remaining vestiges of vanishing and doomed lifeforms? Are they crucial to the continued existence of any other more complex life forms in the area? Will Mauna Kea's already very stark environment be in any truly measurable way negatively impacted by their eventual disappearance? Is the TMT going to wipe out the entire species? And are there plans to simply relocate the few organisms on-site to another habitable location nearby?